Nowadays, there is so much pressure for new moms to lose baby weight after they give birth. This pressure has been known to fall on celebrities, models, business women, teachers, and more! At Kitsune Medical Weight Loss for Women, we want to help relieve women of that pressure and stress by giving them different options for a healthier and faster way to lose their baby weight that won’t require any extremities. Before customizing a specific weight loss plan for women, we evaluate your body and health to determine what we feel is our best medical opinion about the best Weight Loss for Women program for you. HCG Diet: HCG injections reduces the feelings of hunger making the calorie restriction easier to follow and keeps you from losing muscle while you diet. These are important because you will feel more comfortable eating less and with such a dramatic weight loss, muscle tends to get lost as well but the HCG injection keeps you from losing your muscle. 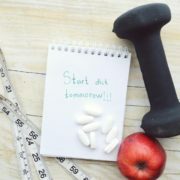 Medical Pills Weight Loss: Medical weight loss pills may not be the most effective for everyone, that is why at the Kitsune Medical Weight Loss for Women we analyze each patient to provide the best solution. Since you may lose 5 to 10 percent of total body weight in a year with medical weight loss pills, you can improve your health by decreasing blood pressure, and cholesterol, and increasing insulin sensitivity. All Natural Weight Loss: Our Naturopathic physicians take the whole person into account, meaning they focus on the person’s physical, mental , social, genetic, and environmental factors. 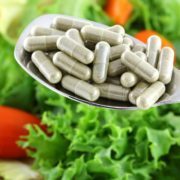 They specialize in treating factors that contribute to weight loss such as: promoting proper digestion, recognizing lack of nutrients, detoxification of heavy metals and more. 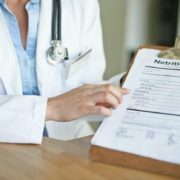 The correct nutrition is important for weight loss and our doctors give comfort to each patient by working closely together and taking any health conditions into account before handing a medical weight loss solution. 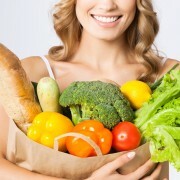 Vegan Diet Weight Loss: For optimal weight loss, it is important to throw out foods that are high in fat and lack fiber. Foods that are full of fiber are great for losing weight and in eating a healthy diet. Again, our doctors will take into account each patient’s eating habits, metabolism, and body chemistry before assigning a food plan. Nutritional Weight Loss: Our plan will stay within your daily calorie needs. If you have high cholesterol or blood pressure we will be sure to create a healthy plan that is low in trans fats, saturated fats, cholesterol, added sugars and sodium. Depending on many factors, we will choose which plan is what you should use for the best results! There is no pressure in making fast weight loss changes. Let us help you take it slow and effectively. For more information, or to speak to our professional consultants about our Weight Loss for Women program, call us at 305-595-1300 or click here to make an appointment! http://www.kitsuneweightloss.com/wp-content/uploads/2015/06/Weight-Loss-for-Women1.jpg 667 1000 WebMaster http://www.kitsuneweightloss.com/wp-content/uploads/2015/05/kits-logo-web.png WebMaster2015-06-30 14:59:222017-07-11 13:13:00Trying to Lose Your Baby Weight? Kitsune Is Just for You! Summer Is Around the Corner: Fit Into Your Old Bikinis Thanks to Kitsune! How Can Weight Loss Increase Your Muscle? How Can Weight Loss Increase Your Muscle? Weight Loss Myths to Never Pay Attention to!